Altra Industrial Motion Corporation presents a wide range of products that can improve speed and efficiency in the processing and packaging of food and drink products. 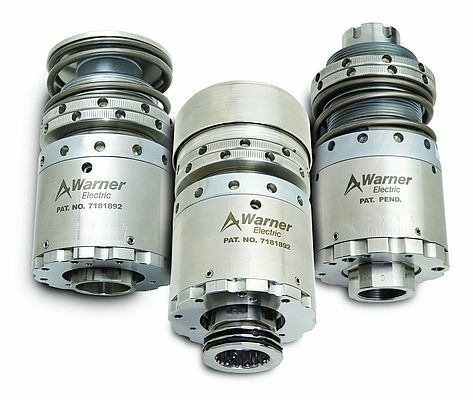 Warner Electric offers Smooth Torque Technology on its capping headsets, which are available in both standard and aseptic versions, to provide a constant torque application of caps for the bottling industry. The company also presents its brakes and wrap spring clutches that offer precision control of packaging lines. At the same time, Warner Linear’s range of actuators has excellent corrosion resistance and wash-down protection as well as a number of features that can be tailored to each application. Huco has developed a range of efficient and reliable air motors that include an acetal version that is corrosion resistant and ideally suited to the food and beverage sector. Meanwhile, Matrix offers market leading solutions for advanced servo motor brakes that can be easily integrated into existing process infrastructures.